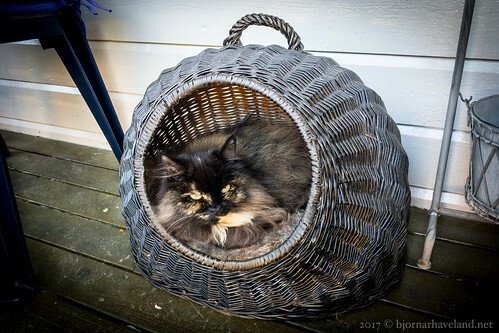 In the several years since we got it, we’ve never actually caught Suri using her basket weave cat bed. We still haven’t. This is the neighbour’s cat’s identical bed that she’s taken up residence in. Poor Caesar isn’t allowed to use his own, and she sure as heck won’t let him use hers either. The beds are only a few feet apart, so she’ll know if he tries, and she’ll make him regret it if he does.